With roses, lilies, peonies, tulips and more these beautiful floral bridal shower invitations are perfect for getting your celebrations off to a special start. 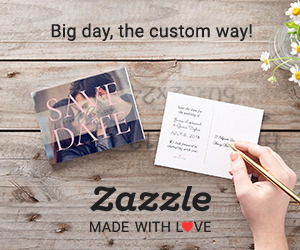 Invite guests to your party with a personalized announcement, who doesn't like getting a personalized invite to share in a loved ones celebrations. Suitable for all kinds of bridal shower theme no matter how big or small, formal or informal. Some popular themes for a bridal shower could be, a garden wedding with tea party, a spring Boho party, a summer Tropical party, or an Autumn mason jar candlelight party. All invites can be personalized, simply change the text, font, colour and layout before choosing from a selection of paper types and finishes. Whatever your Bridal party theme there's a floral bridal shower invite just waiting to make your celebrations even more special.